I wanted to introduce you all to a new on-line children's magazine called Babiekins, the magazine for the trend setting child. Their second issue posted last week and I was asked to write a guest article for them! 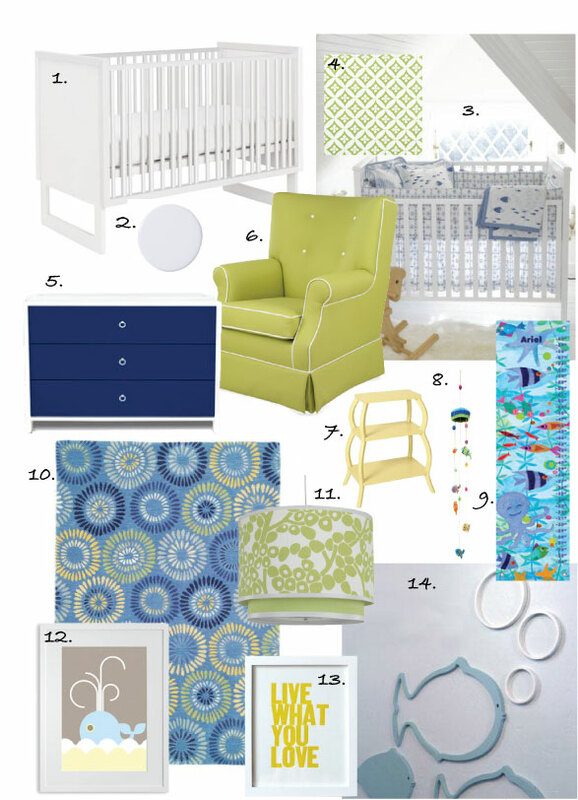 The Babiekins is a quick read and a cross between Design Sponge and Cookie Magazine. It has more of an artistic edgy feel and is definitely a fun free piece of literature. The magazine focuses on children's fashion and design. 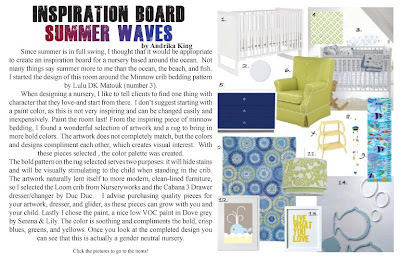 My article is entitled "Summer Waves" and features an inspiration board for a nursery fit for the summer heat. (Well I wish we had some heat in Los Angeles). 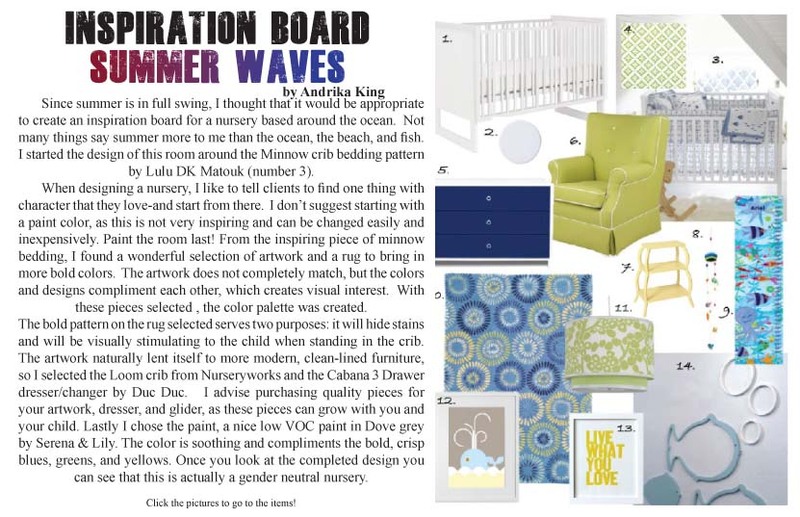 Here is a close-up of the board, for links on where to purchase the items below, visit the on-line article here. You just have to click on the item and it will send you directly to the source for the products. How easy is that? What a fun new read and great job on your article!